There’s no such thing as a hypoallergenic dog breed, although some individual dogs may cause fewer allergy symptoms than others. 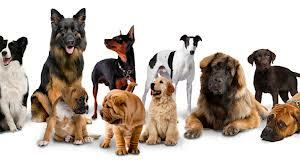 Some dog breeds are marketed as hypoallergenic because they don’t shed fur or they shed very little. Because these dogs don’t shed, the allergy-causing dander that sticks to their fur doesn’t get released into the air or onto the floor as much as with a shedding dog. But while you may have less dog hair with a non-shedding dog, no dog breed is hypoallergenic.